AngularJS provides components like module, service, factory, directive etc. using which we can develop client-side logic in a web application. The service component of Angular provides an encapsulation for all calls to an external REST service. This uses the $http dependency to make http calls for reading and writing data from and to REST services. You can explore about $http and its features from this link. This object is used to perform asynchronous operations and it returns the promise object. This promise object is then used by the caller to retrieve the response from the asynchronous call. Now using $http, we can make an asynchronous call to a remote service. But what if we want to make asynchronous calls to multiple services and retrieve data when all these asynchronous calls are completed. Here we need a powerful object which will keep track of promises from $http call and return to the caller when all calls are completed. In AngularJS, we have the $q object which is a service that helps to execute a function asynchronously and use values returned from these calls for further processing. This is an implementation of promise or deferred object. This object exposes various functions for performing asynchronous operations. More information about $q can be obtained from this link. In the following steps, we will use the $q object with its all() function to combine multiple promise objects into single promise object and use it to call multiple services at a time. This functions resolve the single promise object when all promise objects passed to the function are resolved. The article uses an ASP.NET Web API service created using the free Visual Studio 2015 Community edition. The above code contains Courses and Student entity classes. The CourseDatabase and StudentDatabase stores courses and students information respectively. 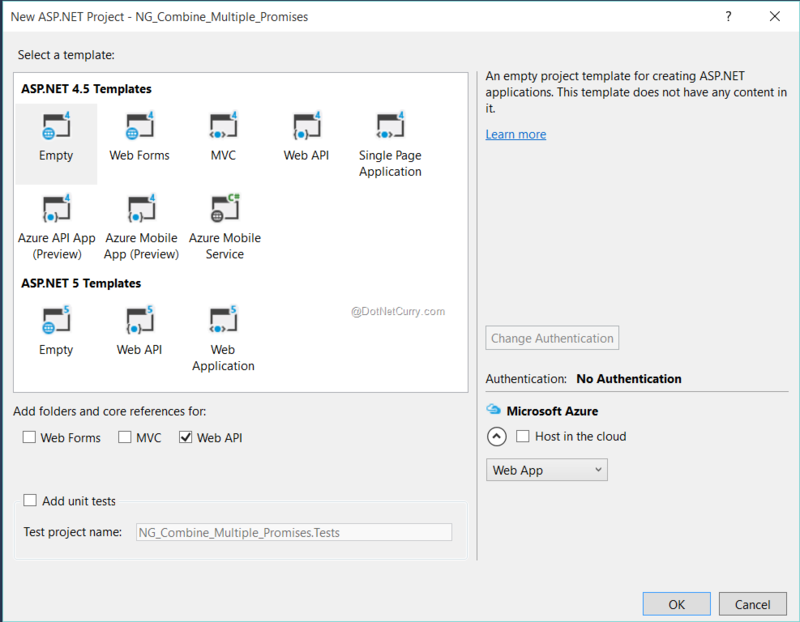 Step 3: In the project, add the NuGet Package Manager for Microsoft.AspNet.WebAPi.Cors. This will be used to enable calls from all domains. Add the following line in WebApiCofig class in the App_Start folder. The above API Controller classes contains Get () method which returns Course and Student collection. Step 1: In the same solution add a new Empty ASP.NET project of the name NG_CombineCalls. 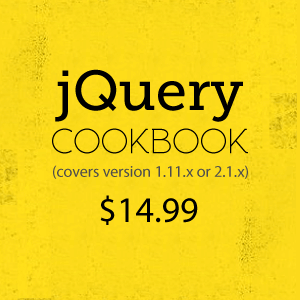 In this project add references for jQuery, Bootstrap and Angular using NuGet Package manager. 2. Define Angular Service which makes a call to Courses Web API and returns promise object. 3. Define Angular service which make call to Students Web API service and returns promise object. 4. Define Angular Controller which is injected with $scope, $q, and Angular Service objects. This also contains Courses and Students arrays which will be used to bind data to View. 5. The loadData() function makes call to get() function from Course and Student service. The $q.all() function is passed with an array of promise object for each service call. When all promises are resolved then() will be called and final response will be received which is stored in Courses and Students array object. The above markup defines data binding with the Courses and Students array with HTML tables using ng-repeat directive. In case of Angular applications, when we expect to show data from different service calls on the UI, $q.all() comes in very handy. It accepts a collection of promises and resolves them as a single promise. It proceeds ahead in an async fashion only when all promises are resolved or when an error has occurred in which case some action can be taken.